The Sixth Administrative Court of Appeals has postponed until April 22, the day after the second round of the presidential elections, the consideration of the appeal of the National Bank of Ukraine (NBU) against the decision of Kyiv's District Administrative Court to annul the NBU order on conducting an audit of PrivatBank in October 2016, the results of which formed the basis of the nationalization of the financial institution. The court handed down the verdict on postponing the hearings on April 15, a representative of one of the parties to the dispute told Interfax-Ukraine. 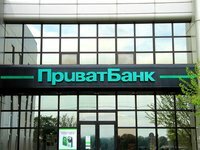 As reported, the Cypriot company Triantal Investments Ltd, which was one of the largest shareholders of PrivatBank, contested in court the illegality of the actions of the National Bank and the Ministry of Finance of Ukraine. In particular, the company in March 2017 filed a lawsuit demanding that the NBU order dated October 2016, by which the regulator initiated an unscheduled inspection, be canceled. The Kyiv District Court on March 2, 2018 satisfied the claim.